Of course, I’ve given myself less than a day to a) decide, b) select a project, and c) sign up, which is not really sufficient. Or wouldn’t be, if Ravelry didn’t have a sense that disorganized knitters such as myself exist, and thereby create “events” where less planning is required, such as WIPs Wrangling (WIPs being works in progress) or Frogging Trampoline (frogging being tearing something back to the beginning and starting over). The sweater I started knitting at Christmas, Liesl, would likely qualify for one of these categories, considering that the reason it isn’t done is that it needs serious ripping back, and possibly a re-start altogether. So, what do you think? Should I give an Olympic knit-along another try? Or just watch the games stress-free? * The Ravelympics are now called the Ravellenic Games, by the way. The Yarn Harlot has a good explanation as to why. You can never watch the Olympics stress-free (recalling a swimming relay event or two from Behjing)! So, have something to channel that…say, a knitting project. Plus, the last few days of the Olympics can be tough (watched so much that we need for it to end), so let your project help energize you all the way through the final fireworks of the closing ceremony. Why do I get auto-spell correct on words that don’t need it and it failed me on “Beijing”? Do it…after a few weeks of watching, the rest of us feel like couch potatos. You will have something to show for it. And…just being honest…I’m not sure that is how I’m supposed to spell potato, It’s early. Oh, do it!! Maryann was referring to this a couple of weeks ago — she was unaware the event had a name change and I could not come up with it either. 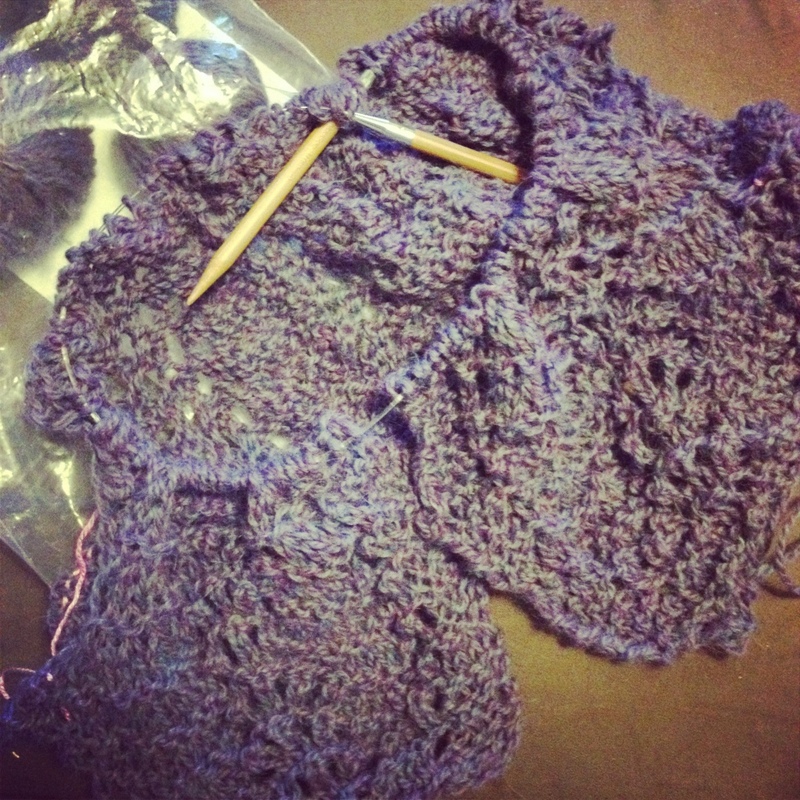 My goal is to finish the cowl I started with the yarn purchase in Juneau — much less ambitious than a sweater. GOOD LUCK! First, I think the Yarn Harlot needs an editor – talk about verbose!! Third, don’t be stressed – just watch the Olympics. Or compromise – knit during beach volleyball and boxing.